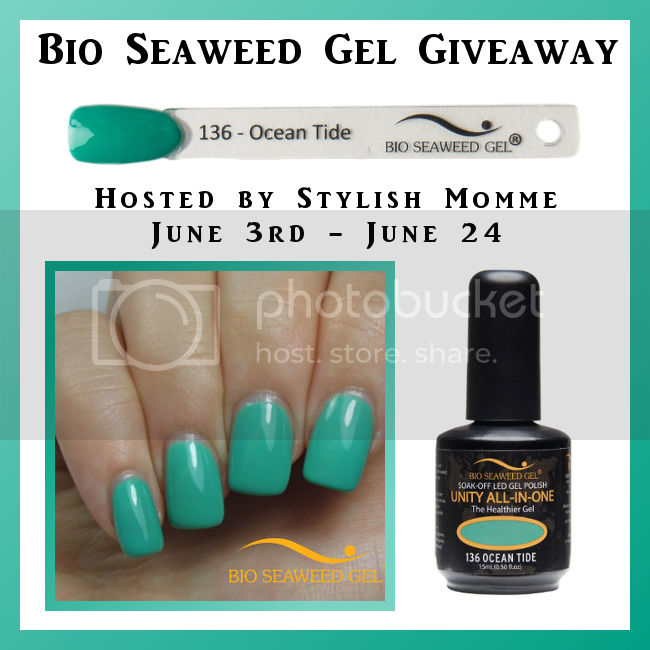 Bio Seaweed Gel is an authentic North American Brand that creates a healthier 5 free gel polish, which means that it is free of formaldehyde, toluene, DBP, BHA or solvents. If you’d like to, you can read StylishMomme’s review here. Giveaway Terms – by entering this giveaway you agree to these terms: This giveaway will run from June 3rd 1:00AM CST to June 24th at 11:59PM CST and is open to US continental residents 18+ only. The winner will be notified by e-mail and will have 48 hours to respond or a new winner will be chosen. This giveaway is not associated with Facebook, Twitter, or any other social media. All participating blogs are not responsible for prize fulfillment and were not compensated for this post. All entries are optional. Void where prohibited by law.